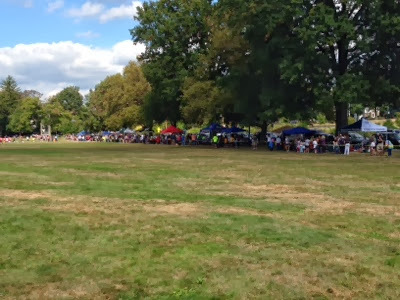 Our first meet of the year was on Sunday in South Orange, and was a success! 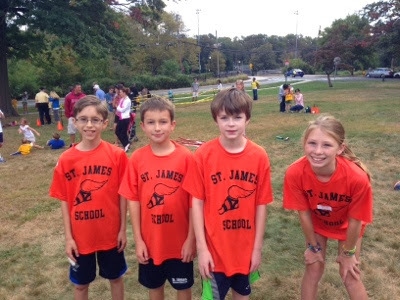 We had 24 runners attend, and two received medals. 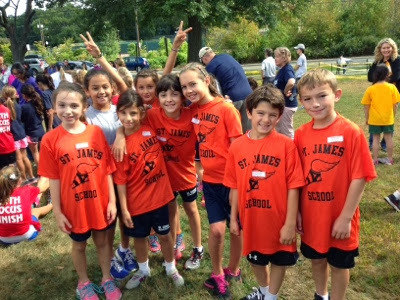 9 younger runners participated in the fun run, and the rest competed against 15 other schools in the age group races. 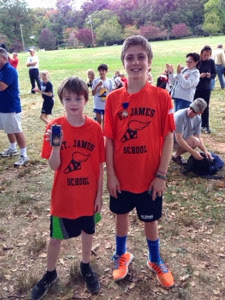 Aidan Watkins and Clay Goulburn both medaled in the 5th/6th Grade and 7th/8th Grade age groups, respectively. 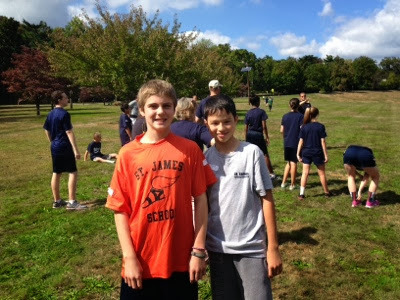 Great job to all who attended - you impressed us on a difficult course so early in the season!! Aidan and Clay, our medalists!! Each tent represented a school - it was a big meet!